Cut and clean mutton into pieces. Make a paste of coriander powder and turmeric powder together and add to the cleaned mutton and marinate / mix well adding enough salt. Heat oil in a pressure cooker and add chopped onions and saute well till transparent. Add cardamoms, cinnamons, cloves and pepper corns and saute well for a minute. Add slit green chillies, chopped ginger and garlic and saute well. Then add marinated mutton and enough water, mix well and cook covered for about 8-9 whistle till the mutton is cooked well. 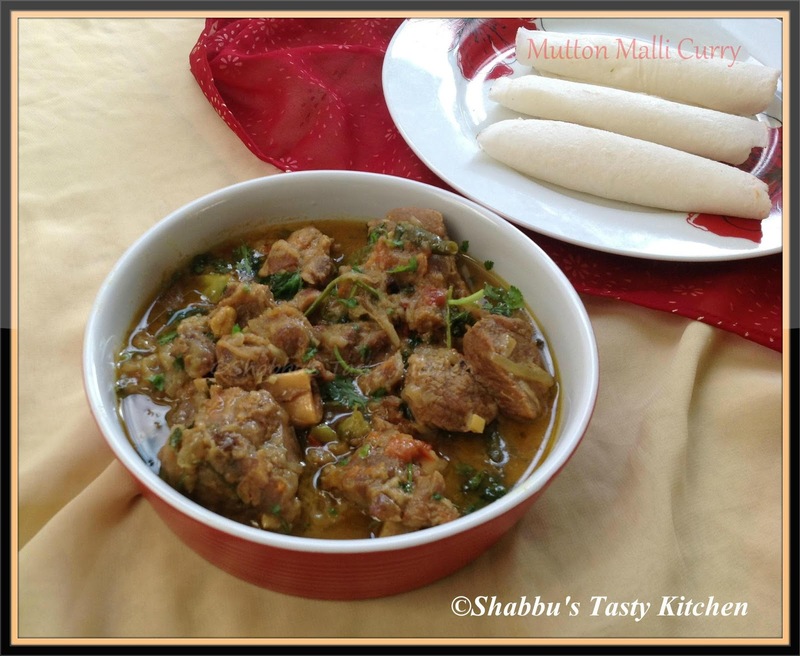 Add thick coconut milk and a pinch of garam masala to the cooked mutton and mix well. Superb... this must have smelled great!